Long positions above 1.0025 with targets at 1.0060 & 1.0085 in extension. Below 1.0025 look for further downside with 1.0010 & 0.9995 as targets. 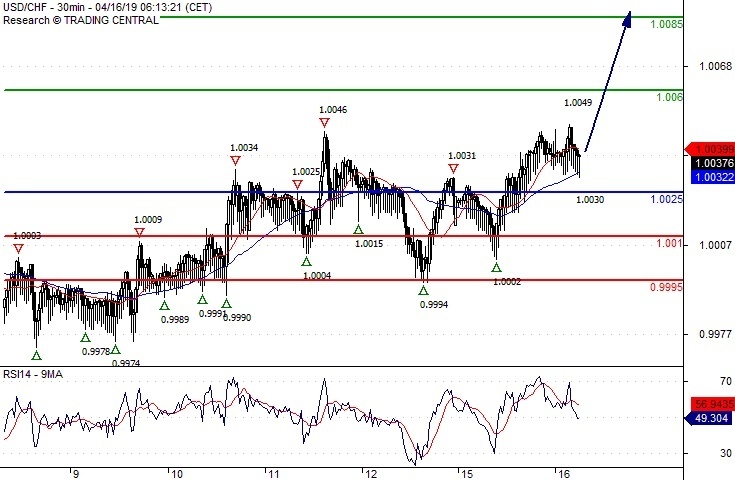 The break above 1.0025 is a positive signal that has opened a path to 1.0060. Long positions above 1.3360 with targets at 1.3420 & 1.3450 in extension. Below 1.3360 look for further downside with 1.3340 & 1.3320 as targets. 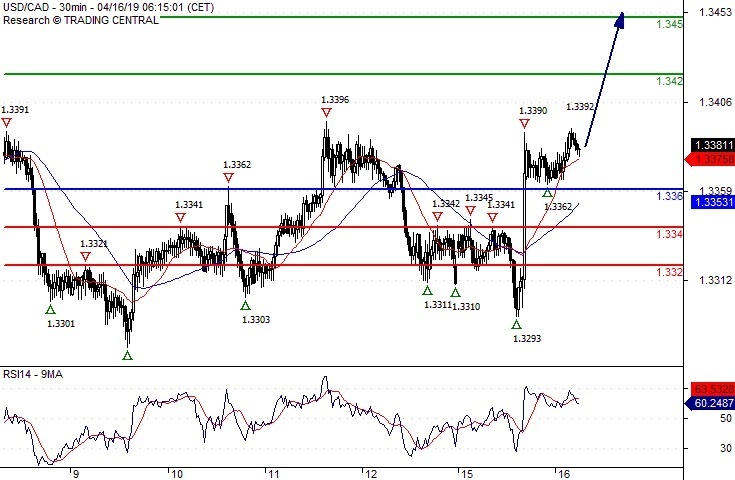 The break above 1.3360 is a positive signal that has opened a path to 1.3420. 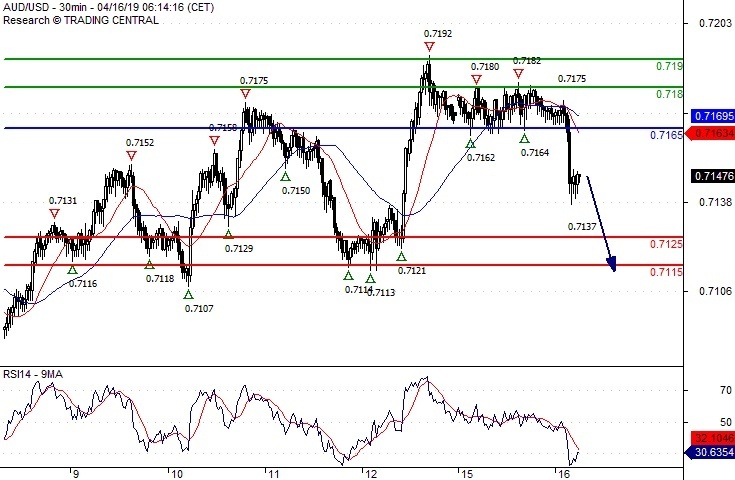 Short positions below 0.7165 with targets at 0.7125 & 0.7115 in extension. 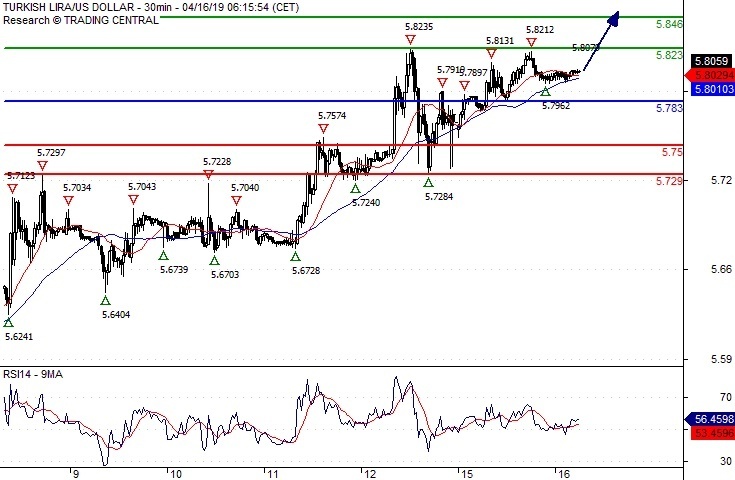 Above 0.7165 look for further upside with 0.7180 & 0.7190 as targets. Long positions above 5.7830 with targets at 5.8230 & 5.8460 in extension. Below 5.7830 look for further downside with 5.7500 & 5.7290 as targets.